Manchester United may have just won the EFL Cup after a thrilling final against Southampton, but with club captain Wayne Rooney left on the bench yet again, many are left wondering if his time is up at Old Trafford. 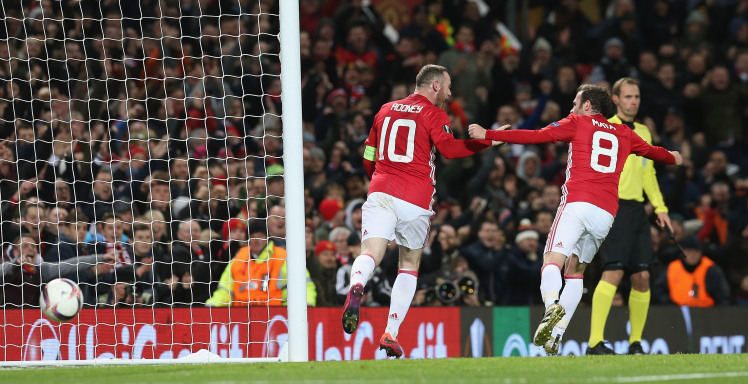 Last week, speculation about the England captain packing his bags for China gathered pace but these rumours were quickly put to bed with Rooney saying he is staying put at United….but for how long? Our prediction is that he will see out his contract at Old Trafford, which runs until next season. A move to China now would be a massive mistake. Yeah, the money’s good. Unbelievable, in fact. But does Rooney need to move for the money? We think not. I personally think he should stay, mainly due to his age. At 31 he still has some golden years left in the tank and with the World Cup looming, this is his last chance to have success at a major tournament. If he moves to China I can’t see him playing international football again, let alone captaining the side, especially with the likes of Harry Kane smashing in hat tricks every other week. I don’t think he would want to put his position in the national team at risk right now. Although Zlatan Ibrahimovic is currently keeping him out of the side, the Swedish star is a prime example that a top professional can still do the business in the latter part of their career and Rooney is still a model pro. He may have his critics, but many of the accusations Rooney faces seem harsh at the best of times. This is a man who has won it all at club level, not only that but he is a record goal scorer for club and country; these are records that may not ever be broken again. On the other hand does this mean he needs a fresh challenge? Maybe this contributes to a lack of motivation. He only has five goals so far this season, so maybe time is running out for him. His celebrations after United’s late cup win would say otherwise, as he jumped up and down on the Wembley touchline, so I think his hunger and passion is still burning brightly. Whatever happens there will always be media hype around a man who has attracted attention just as much as the great Paul Gascoigne and his talent is one of the main reasons for this.